Businesses and companies are aware of the size of the audience they will reach if they use Facebook Ads – just scroll down through your own news feed and you will notice at least a couple of good facebook adverts that are related to your personal interests. 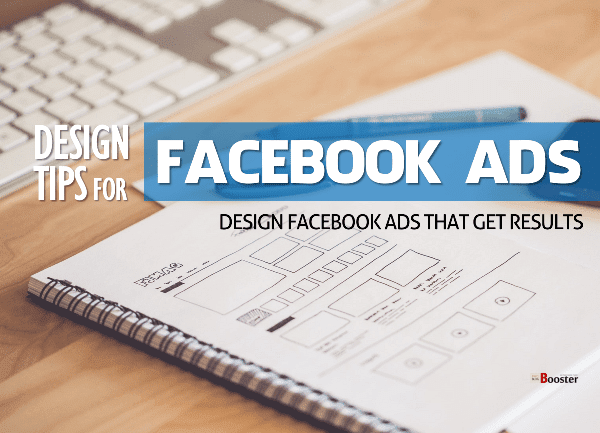 Starting a Facebook ad campaign strategy is straight-forward and fairly affordable, depending on the placement of your ad. It is available to businesses of all sizes, and all you need to do is follow the guidelines provided by Facebook. If you plan ahead and strategize properly, your Facebook Ad can increase the traffic on your website, as well as encourage your followers to like and share your posts. But before you get about how to create a good Facebook ad and launch your Facebook ad campaign, you need to get creative and brainstorm different ideas. You cannot simply choose a random image and expect amazing results. After all, Facebook is a huge community and you need to think about the demographics you want to engage with your campaign. There are some psychological aspects that you need to go over such as the most suitable color, or offering freebies with purchase. We cannot stress enough the importance of the visuals. Facebook users do scroll through their feeds quickly, only stopping when something catches their eye. Your ad should make them interested and willing to check out your page. Take some time to get to know your target audience, and use the information in order to create the best Facebook ad campaign. 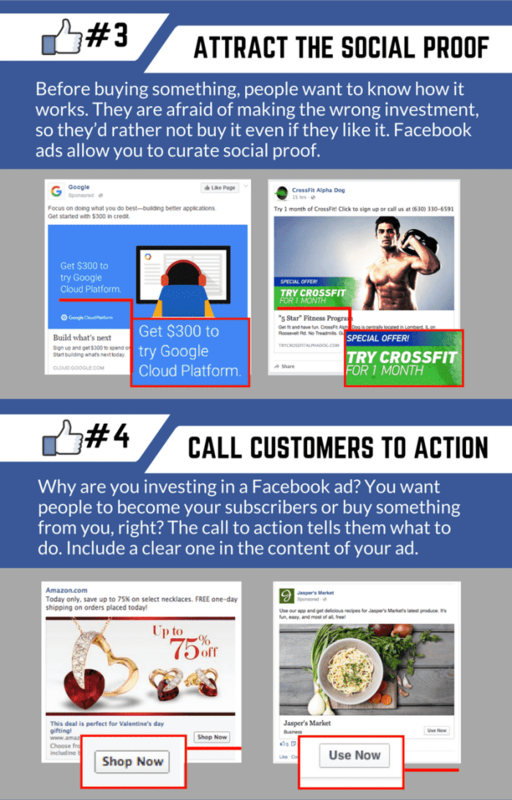 Let's check out how to make the best Facebook ad that will help you drive more traffic to your website or blog. How To Create Great Facebook Ads Designs? 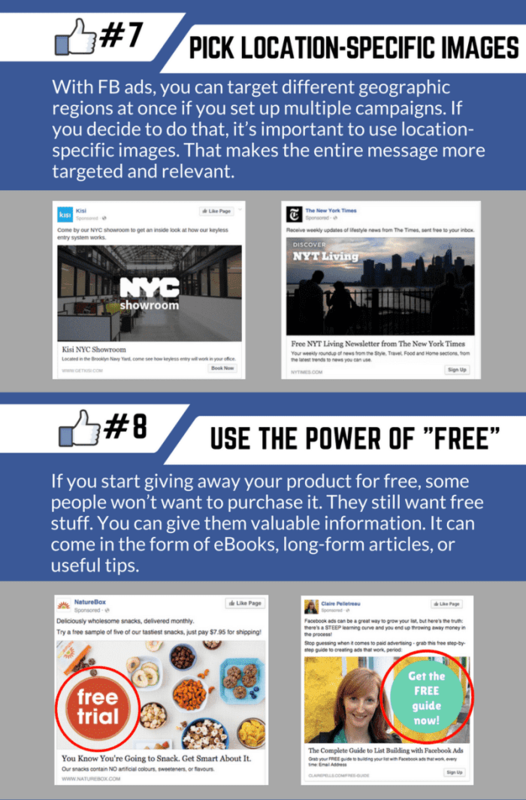 Creating high converting Facebook ads — If you want to learn how to create a successful campaign, there are several tricks that advertising experts swear by. We have gathered them all up in the infographic by the team of Marketing Specialists which you can find below this text. 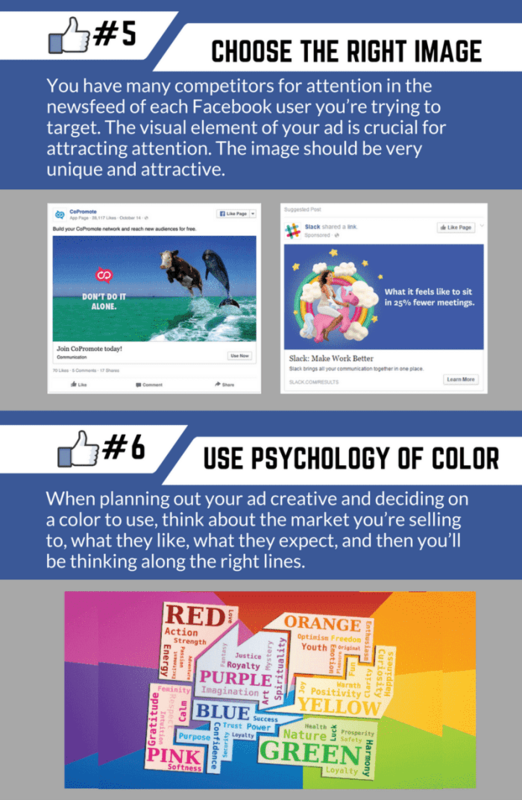 So once you cover the basics and make sure you understand how Facebook Ads work, start covering each and every point. You don’t have to apply all of them to your campaign, but select the ones that will work for you and your brand. The data will be more than enough to help you launch a successful Facebook Ad campaign and you will step up your marketing game. Article By Lucy Benton — is a marketing specialist, business consultant and helps people to turn their dreams into the profitable business. Now she is writing for marketing and business resources. 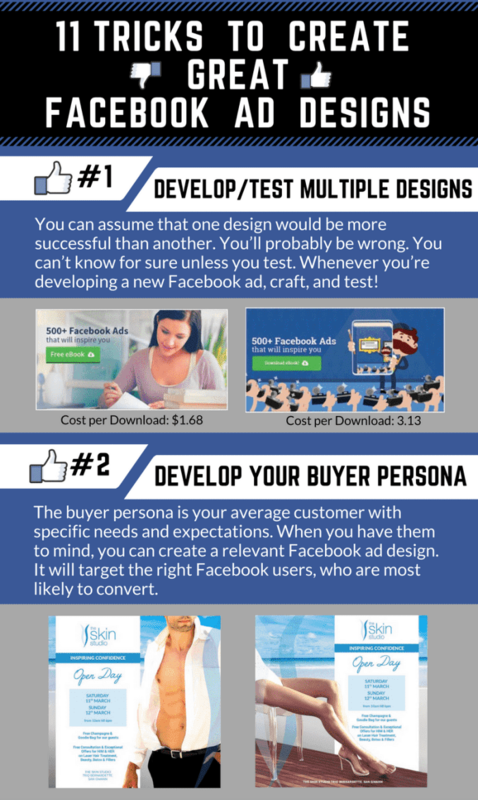 You can check her latest infographic about Facebook Ad designs.